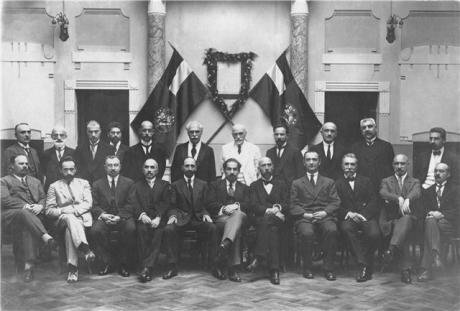 26 May 1918: National Council meeting, Tbilisi. Public Domain. The centenary of the Russian Revolution is re-opening debate about the troubled relationship between socialism and democracy, as historians highlight the crimes committed by Vladimir Lenin and Joseph Stalin. 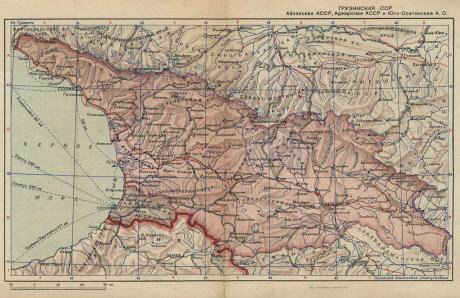 The land where Stalin was born, Georgia, was also the birthplace of a successful social-democratic experiment that was lauded by international statesmen — but crushed by the Bolsheviks. The Georgians’ brave example deserves to be remembered to show that another revolution was possible. In May 1918, six months after the Bolshevik seizure of power in Russia, the world’s first democratic socialist republic was created. In Georgia, the Mensheviks, or Social Democrats, found themselves ruling a country whose separation from Russia they had always opposed. But under pressure from the Bolsheviks to their north and the Turks to their south, they had no choice. Their leader was Noe Zhordania. Like Stalin, who was ten years his junior, Zhordania got an unlikely-seeming introduction to revolutionary politics through his education at the Tiflis Theological Seminary. But unlike Stalin, Zhordania spent his formative years abroad, learning about politics and society from leading figures in Europe’s social-democratic and labor parties. When he returned to Georgia, he persuaded the local revolutionaries to embrace a very particular kind of Marxism, one with a strong European and democratic flavor. Journalist and politician Noe Zhordania. Public Domain. Zhordania and his comrades started with a commitment to political freedom and human rights. Many political parties competed for power in Georgia, unlike in Russia where Lenin and the Bolsheviks outlawed opposition parties one by one, including dissident socialists. The Georgian republic upheld freedom of the press, freedom of association and universal suffrage (including for women). The Social Democrats’ first priority was agrarian reform. Georgian peasants, like peasants across the former Russian empire, were land-poor. While the Russian Bolsheviks sent heavily armed troops to the countryside to seize food, Georgia’s Social Democrats seized land from wealthy landowners, the czarist state and the church, and gave it to the peasants. As a result, Georgia was never plagued, as Russia was, by endless warfare between country and city. And peasant support for the Social Democrats never wavered. The man behind the reform was Noe Khomeriki, who served as the country’s minister of agriculture. In the cities, the Georgian government worked closely with labor unions to ensure that workers and their families were fed and cared for. Independent unions with a right to strike thrived, in sharp contrast to Bolshevik Russia where they were merely an appendage of the dictatorial state. Consumer and producer cooperatives also prospered. Their rapid growth meant that in some sectors of the economy, they were overtaking traditional private businesses. Many Georgians saw cooperative enterprises as the building blocks of a new society. In free elections held in 1919, the Social Democrats commanded overwhelming support. But one group never accepted the legitimacy of the young republic: the Georgian Bolsheviks. These members of Lenin’s Russian Communist Party worked tirelessly over three years to bring about the violent overthrow of the elected government in Tbilisi, Georgia’s capital. There were two failed coup attempts. The second was followed by a peace agreement between Russia’s Soviet government and Georgia, which included a recognition of Georgian independence. The Georgians agreed to legalise the previously underground Communist Party and free jailed Bolsheviks; in return, the Communists agreed to behave themselves. Security for the Georgian government was provided by a workers’ militia known as the People’s Guard. Its commander was the ruthless Valiko Jugeli, who defended the country’s socialist government against Bolsheviks and other rebels with a fanaticism that was later severely criticised by the Soviet leader Trotsky, among others. Ministers of the Georgian Democratic Republic. Wikipedia / Public Domain. In September 1920, a delegation of European democratic socialist leaders from the Second International visited Tbilisi. The party of visitors included Britain’s future Labour Party prime minister, Ramsay MacDonald; the most prominent figure was Karl Kautsky, from Germany. The best-known Marxist of the day, Kautsky was known as the “pope of socialism.” He stayed on in Georgia for several weeks and wrote a short book about what he learned there. He called the Georgian Democratic Republic “the antithesis to Bolshevism,” and the other foreign delegates agreed that Georgia was carrying out an enormously significant experiment in democratic socialism. It was not to last. In February 1921, the Russian Army invaded. Georgia did not fall easily, as Armenia and Azerbaijan had done. Weeks of bloody fighting followed before Tbilisi fell, and the Georgian government, with Zhordania still at its head, retreated to the port city of Batumi. There, on the shores of the Black Sea, the Georgian Constituent Assembly met for the last time and finalised the drafting of the country’s Constitution. It was a remarkable document, but it described a state that would never come into being. Even with the evacuation of the Social Democratic leaders onto Allied ships for a life in exile, the Georgian struggle was not over. Three years later, Georgians rose up in a popular uprising in a desperate attempt to end Soviet Russian rule. And it nearly worked. Some leading Social Democrats, including Khomeriki, author of the agrarian reform, and Jugeli, commander of the People’s Guard, returned from exile to lead the rebellion. But they were captured and executed, and the rebellion was drowned in blood. Leading the local Bolsheviks in their suppression of the rebels was a young Lavrenty Beria, the man who later became notorious as the ruthless head of Stalin’s secret police, the NKVD. Exile abroad was not necessarily a safer option for the Georgian leaders. 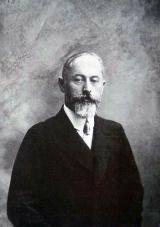 Noe Ramishvili, who had briefly served as head of the Georgian government, was murdered by a Soviet agent in France in 1930. But Zhordania survived. His exile in France lasted for more than three decades. He died in January 1953, aged 84 — just a few weeks before the death of his former revolutionary comrade and later adversary, Stalin. Soviet rule in Georgia survived them both by a few decades, with the country finally declaring independence again in 1991. When it did so, the 1921 Constitution was revived, the anniversary of the May 1918 declaration of independence was proclaimed a national holiday, and the red flag of the Georgian Mensheviks flew once again over the capital city of Tbilisi. With the end of the Soviet Union, the Russians resumed their traditional, hostile role, supporting separatist movements in the Georgian provinces of Abkhazia and South Ossetia, leading to a full scale war in 2008. When the French president, Nicolas Sarkozy, asked President Vladimir Putin what he was hoping to achieve by Russia’s attack on Georgia, Mr. Putin said he was “going to hang Saakashvili by the balls,” referring to Georgia’s president. It was something one could easily imagine Stalin saying about Zhordania. Map of the Georgian Soviet Socialist Republic, 1931-1943. Wikipedia / Public Domain.Georgia’s great experiment in democratic socialism had been crushed, but the Social Democrats’ key argument — that an impoverished, backward society cannot skip historical stages and proceed straight to pure socialism — was borne out. The Bolsheviks in their rush to create a Communist utopia imposed on millions the very opposite, and not only in Russia, but in China, North Korea, Cambodia and elsewhere. During their brief stint in power, the Georgian Social Democrats showed that a patient series of transformations was a far more promising preparation for an eventual transition to a socialist society. Above all, Georgia’s agrarian reform program offered a humane alternative to the Russian approach of forced collectivisation. The society that the Georgian Social Democrats created was an inspiration to socialists at the time. As the years passed, however, and Soviet rule seemed to become permanent, their achievements seemed forgotten for decades. Yet the dream of a more equal, fair and free society persisted — and found advocates in the Hungarian Revolution of 1956, the Prague Spring of 1968 in Czechoslovakia, and in the Solidarity movement in Poland in the 1980s. That dream lives on as people look for alternatives to capitalism, while rejecting Stalinism. To paraphrase what Friedrich Engels said about the Paris Commune, if you want to know what democratic socialism looks like, study the Georgian experiment. That was democratic socialism. How did 1917 change the west? Read Sam Greene's reflections on the stories the US and UK have been telling themselves about Russia. Eric Lee is the author of The Experiment: Georgia's Forgotten Revolution 1918-1921 (Zed).